Lemon Beebalm is a lovely cottage garden plant. It grows to about 80cm tall and has lavender to pink flowerheads in June to September. These plants look good grouped within a mixed border and in herb gardens. Pack of approx 500 seeds. Sow in spring, either indoors or directly into cultivated ground. 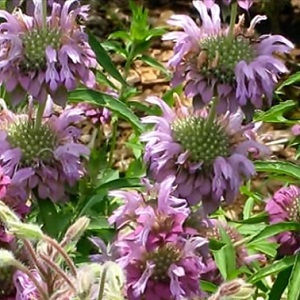 Lemon Beebalm is mostly grown as an annual and plants self seed and re-appear year after year. Sowing instructions and a colour photo are printed on the packet. Conditions Plant out in full sun to part shade and in well-drained soil. Water regularly. 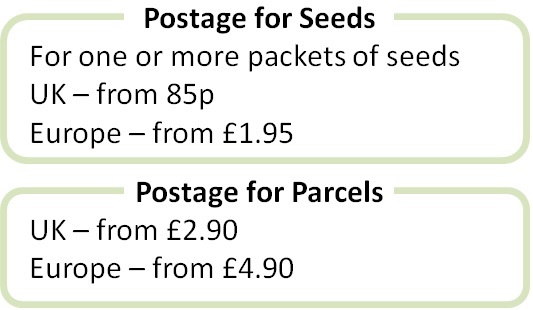 Sow these seeds in spring. Sow indoors in a tray of compost, covering lightly with compost. Keep at around 20°C and germination takes 2-4 weeks. Transplant seedlings to pots when they are big enough to handle and plant out into the garden after the last frost about 30cm apart in a sunny spot. Or sow the seeds directly into cultivated soil in late spring. Deadhead plants to encourage more flowers. Cut back stems in the autumn after flowering has finished. These plants are mostly treated as annuals and sown fresh each year, however some may live one for a year or two as short-lived perennials.